This entry was posted in Travels & Outings and tagged beach, get away, instagram, ocean isle beach, rest, roommate, travel, traveling, weekend on April 12, 2013 by Emily Gallimore. 1. I may have more stories of Holy Spirit moments from Guatemala to share at some point (because trust me, it was such a Holy Spirit led and filled trip that there are still many of them! ), but my heart needed a break from sharing in this space. So because it’s Friday, a catch-all 5 things post seemed in order. 2. 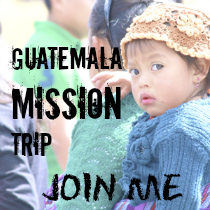 But speaking of Guatemala, have you read this post yet? You should. Seriously. The message is so far beyond me and the story is so worth hearing. 3. Have you noticed there’s a new schedule around here? The goal is new posts on Tuesdays and Fridays with the occasional third post thrown in if necessary. It’s a recent shift, but I like the rhythm of it so far. 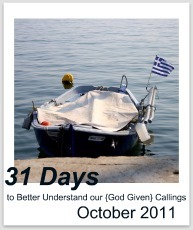 Tuesdays will be for devo thoughts and Fridays will be for anything goes. 4. It snowed last weekend, y’all! In typical Charlotte style, it snowed on Saturday afternoon and was pretty much completely melted by Sunday afternoon, but it was beautiful while it lasted. The photo is the view out my kitchen window. This entry was posted in Life and tagged 5 things, blogging, charlotte, Guatemala, holy spirit, instagram, snow, walk by faith on February 22, 2013 by Emily Gallimore. It may not be the greatest photo, but it was such a fun night seeing “The Nutcracker” with my roommate and one of her brothers last week and uptown Charlotte was so festive that it’s joining the ranks of photo of the week anyway. This entry was posted in Photo of the Week 2012 and tagged charlotte, Christmas, city photography, friends, instagram, merry christmas, photography, roommate, the nutcracker, the Word, uptown on December 25, 2012 by Emily Gallimore. 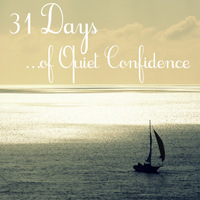 This entry was posted in 31 Days (October 2012), Photo of the Week 2012 and tagged 31 days (confidence), augustine confessions, instagram, photography, quiet confidence, quote, rest, st. augustine on October 14, 2012 by Emily Gallimore. This entry was posted in Photo of the Week 2012 and tagged instagram, nature photography, photography, purpose, sky, sovereignty, stand firm on September 10, 2012 by Emily Gallimore. I just sat here in my office/writing space/study for far longer than can be considered appropriate trying to figure out what in the heck I should post for this week’s official photo of the week. You would think by week 22 I would plan a little better, but apparently not. I traveled with my family to Northern Virginia / Maryland for a wedding over the weekend, and while I do have a handful of photos from the occasion, none of them seemed quite right for the photo of the week. I prefer to use my dslr (I shoot with a Canon 50D for those who are curious) for the photo of the week as it pushes the limits of my technical know-how and I hesitate to post instagram photos (which I almost exclusively shoot with the camera on my phone) as that somehow seems like cheating. But this week’s photo of the US Air Force Memorial near the Pentagon in Arlington, VA is from my instagram feed because although it’s not a great technical photo (I mean, it was taken from the interstate through the window of a moving vehicle), it just plain better represents life as I see it and my love for Washington, DC. And I’m finally okay with that…at least for this week. This entry was posted in Photo of the Week 2012 and tagged air force memorial, arlington va, canon 50d, dc, dslr, instagram, photography, travel, travel photography, US Air Force Memorial, washington, washington dc on June 19, 2012 by Emily Gallimore.